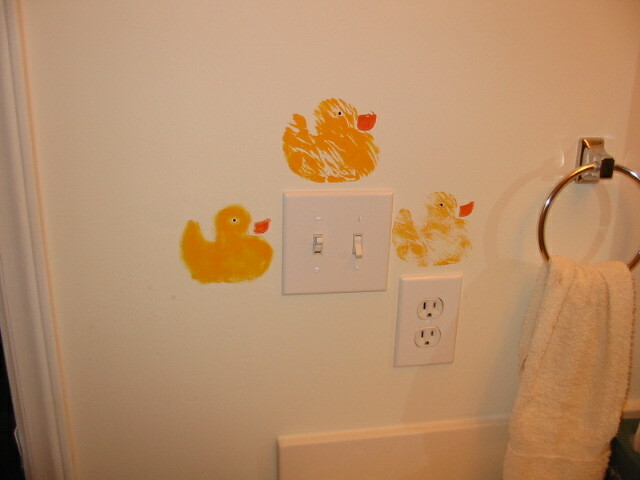 I’ve been painting on my bathroom walls. 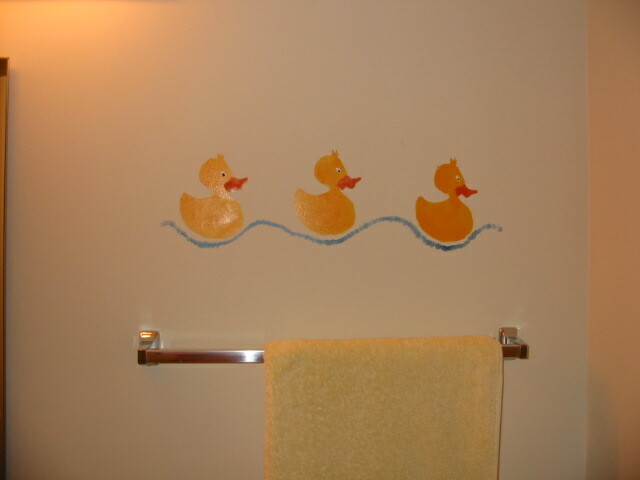 I did these by making a stencil of the duck on my shower curtain. 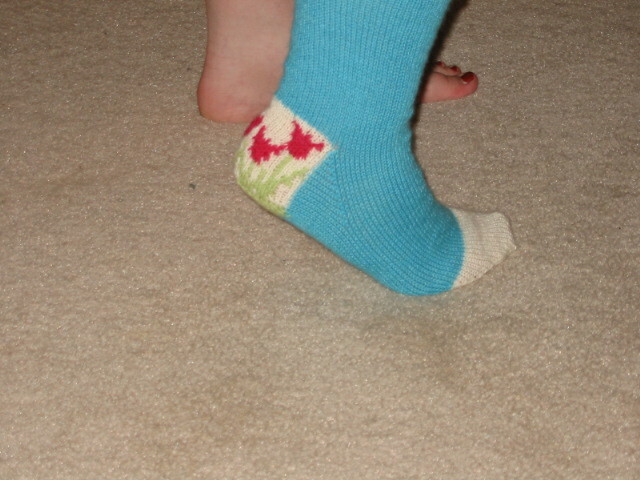 This one is from a chunky stamp we picked up the other day. 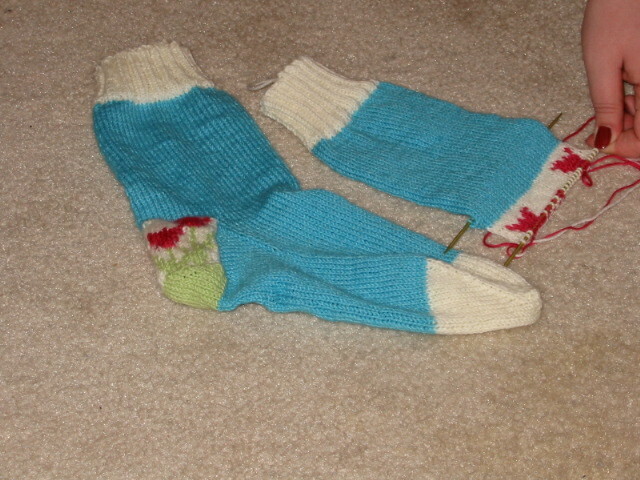 Here are some pictures of the socks I’m knitting for an online friend. Still no official word from the interview last week. I called her this morning, and she said she hadn’t heard back. It’s a temp agency, so my first interview was with the agency, and then I should have an interview with the client. She said she didn’t know what was going on with the client, but she sounded like she hadn’t counted me out yet. She set me up in their system as a temp so until we hear back I can do temp work, and if I don’t get the position I can continue to do so. Yesterday I went in to do some computer training on Microsoft products such as Word and Excel. It went well enough. I was surprised at how much I already knew, and how much wasn’t covered by the training. It was a good refresher in any case, and I want to go back and retake the skills tests to improve my scores. Optimism is the key my friends. I’m not out yet on this one, and I have faith that it’s going to work out one way or another. Does anybody know of any good client programs that can be used with MT? I find the web interface cumbersome to use for posting, but for administration its fine. A MacOSX version is probably best. A Linux version might be ok. A web program probably isn’t going to be sufficient as I hate typing into those terrible little text boxes. Free is required. Possible programs that I’ve found Archipelago, EspressoBlog, and Kung-Log. Anything that works with Blogger or MetaWeblog is supposed to work. 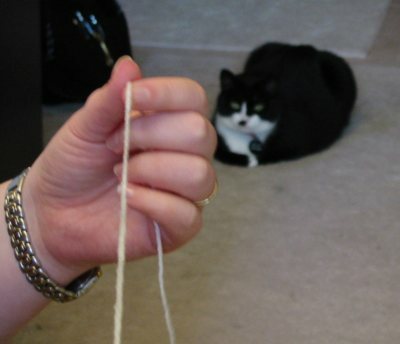 cats like to play with balls of yarn while I knit. Welcome to the new xara’s Garden. Now powered by Movable Type. The site is not yet completely configured, expect frequent changes.